Life’s Lessons from My Maid - A Rose Is A Rose Is A Rose! Wordless Wednesday - 70 40 Today!! Last weekend, our new and temporary maid got her 7 year old daughter to work. A sweet looking lil’ girl, I asked her generally about her class, school etc. During the course of our little conversation, her mother explained that since she was not satisfied with the studies in the Government school, she has now enrolled her kids in a private school. The schooling is a bit expensive for her to manage, but she wants nothing but the best for her kids. I was impressed at her progressive thought process. Subsequent conversation, that we had, reads like this…. Me: Where does your husband work? She : He doesn’t work. Me : Is he out of job and needs a job? She : No, he doesn’t want to work. Me : What does he do then? She : He sits at home and smokes some pot along with a pack of beedi a day and does nothing at all. She : He wants to go back to my village. And I don’t want to go. He has severed ties with his own family. He will be a burden on my parents and brothers, so I don’t want to go back to my village. As it is, we will have to pay the rent etc there, which we are anyways paying here too and most importantly, there would be limited work opportunities for me. And knowing him, I have my doubts if he would work in the village too. So, I am supporting him and the kids. Me : Doesn’t he realise his responsibility towards the kids and you? She said it with a smile. There was no pain, no frustration, no anger or bitterness at the life’s trials and tribulations thrown her way! I could see that she was at peace with this difficult situation. How could she achieve this?? Didn’t this hurt and betrayal led to pain, anger, holding grudges, resentment, negative feelings… Didn’t these negative feelings threaten to shatter her whole being?? But here, I see a very cheerful and a positive woman. I believe, she must have forgiven and forgotten. I know, it is easier said than done. But it’s true that forgiving, not only heals you emotionally and but also makes you strong mentally. Or she must have accepted her situation and made peace with it. Rather than going through the daily turmoil or getting worked up or having arguments with her non-supporting husband, she has come to terms with the hard facts of her life and directed herself in something positive and is trying to give a better life to her kids. But accepting a situation and forgiving and forgetting, does that mean she doesn’t care anymore. I guess, she must, but she has learnt that the situation will no longer pull her down or drain her energies. Her perserverance, will and what not! Kudos to her! Isn’t this wonderful? I mean, you hear all these talks about fighting for your rights, not tolerating the wrongs and all, and here she is, with such simple truths and the way she has accepted the facts of life. This is not surprising. the women from poorer sections work 4 times a shard as their spouses. My own maid has 4 kids and she is ever ready to do any small job besides her regular ones in order to do a lil bit extra for her kids. For them, there is no question of rights etc. it is simply a case of survivial. “…. it doesn’t bother me now”, she said. I guess the answer to all the questions are in these few words. don’t you think so? I agree to what Phoenixritu said. The patience to bear wht i cannot,and the wisdom to know the difference! she is the perfect embodiment of those wise words! Your maid is so amazing. I have someone similar. My maid has put her son in a private school for the same reason though she can ill afford. Her husband was a drunkard and used to beat her. But, now he has given up his drinking and even works as a mason. She has a married daughter and is always toiling to buy expensive gifts for her daughter and her in laws. She amazes me with her clear conscience, open mind and honesty. Good people can teach us so much! i think sometimes you really have no choice but to fight for your own survival & that of your kids’. what else can she do? leaving him is not an option. fighting with him everyday is not an option because that needs energy & all her energy goes into her tedious daily work. plus seeing the children’s face can give a mother enough courage to keep living & working & slogging. end of the day, khud ka pet bhi toh bharna hai. You know there are so many women like your maid. Even our daily help has the same story, but they all seem so sorted in their heads and totally dedicated. I guess they detach themselves mentally from their life partners and decide to go about their lives, raising up their children with the best they can get for them. 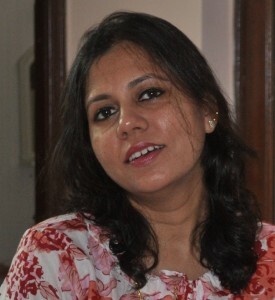 Hi Shilpa, you have been nominated for the Versatile Blogger Award. Hmm sometimes its best to let be and as you say move on.. forgetting and forgiving well just for that she is a better Human being then me, for I can never forget or forgive till i have had my revenge or whatever it is called..
so indeed I need to take some lessons from her too..
A lot of such brave and well meaning women go unnoticed.They are the real heroes and need to be encouraged. woww she’s quite a woman …. strong and brave … thanks for sharing this inspiring story … I wish someone would knock some sense into her husband. Truly admirable! I think she has so much positive in her and so much to look forward to, that some amount of negativity is possible for her ignore. Best wishes for her children’s (and hers) success!! This post is relevant to the times that we live in but the content is not surprising. All around us, we can see that women from poorer sections work much harder than the men. When they go back home, they are sometimes abused also. We, as educated women, can do a lot for these helpless women if we stand together and come up with solutions. Maybe even for the education of the children of such hard working women. Agree completely. Forgive and Forget is easier said than done. But unfortunately, there is no better path to being at peace with oneself. One’s best comes only when one is in peace with self – so Forgive and Forget has to be consciously practiced, however difficult it might be.